Chop cookies very fine in a food processor, the white cream will disappear. Mix the butter, cream cheese, and sugar in a bowl. In a large bowl mix milk, pudding, and whipped topping together. Layer in a trifle bowl starting with cookies and then cream mixture. Repeat with layers. Chill until ready to serve. If desired add artificial gummy worms. 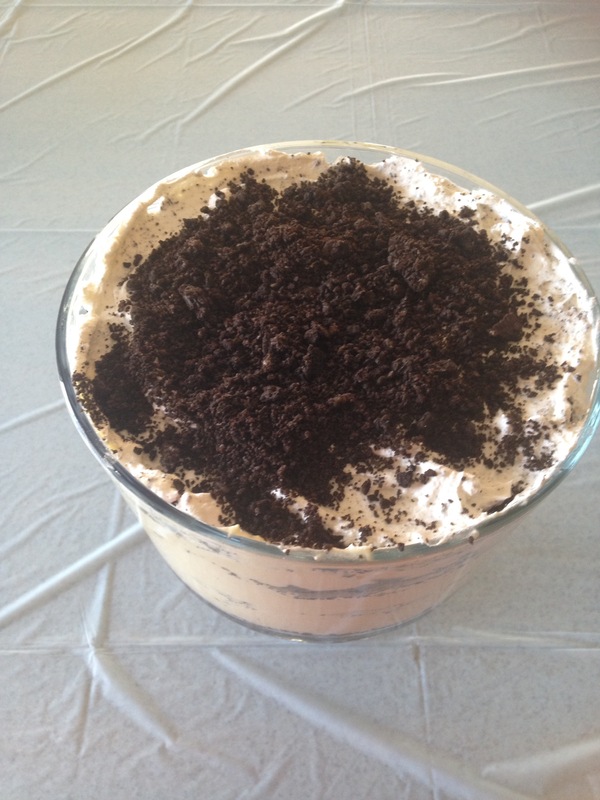 Tip: Oreo Dirt Pudding is better if made the night before.